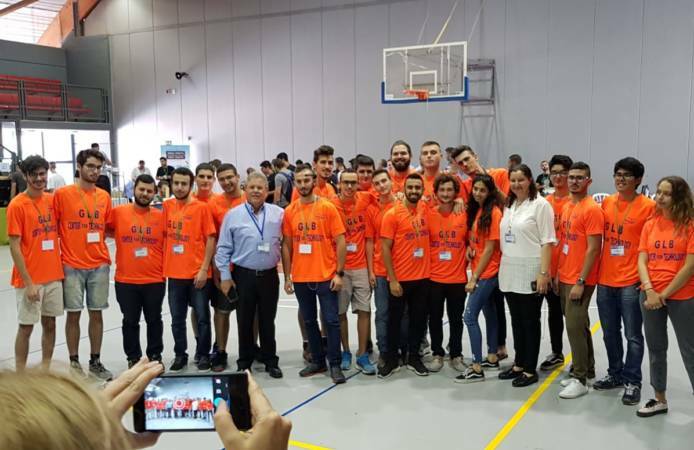 The Sci Tech College Network’s Innovation and Entrepreneurship Conference was held this year in the Hermelin College, Netanya. The conference, held for the second year now, showcased selected innovative projects created by Practical Engineering college students in the fields of electronics, machinery, and software. Participants included representatives of all Sci Tech Network’s colleges, technology-related IDF corps, the Ministry of Social Affairs and Social Services, and the Ministry of Education, as well as industry partners and guests. Dignitaries who came to appreciate the projects included Yoel Carasso, Chairman of Beyachad (“Together”) Foundation; Zvi Peleg, Director General of the Israel Sci Tech Network; and Shmaryahu Rozner, Israel Sci Tech’s Deputy Director-General and Head of the Sci Tech College Network. In this ceremonial event, dedicated to innovation and entrepreneurship, the students presented projects born out of their design, development, and application of materials absorbed during their studies. These were encapsulated into their final projects, presented towards their diploma as certified engineers. The final project allows students to acquaint themselves with novel, interesting subjects which bear on their lives, thus integrating theory and practice, in line with the network’s agenda of innovation. First prizes were awarded to interesting, innovative projects, such as an automatic safety system, a resuscitation machine designed for babies, an innovative system for running a parking lot, and more. During the conference, the students enjoyed a virtual reality gaming arena, a technological display set up by the relevant IDF corps, and lectures on innovation and entrepreneurship.